Dr. Elaine Nsoesie is an Assistant Professor of Global Health at the Institute for Health Metrics and Evaluation, and an Adjunct Assistant Professor in the Department of Biomedical Informatics and Medical Education at the University of Washington. She has a PhD in Computational Epidemiology from the Genetics, Bioinformatics and Computational Biology program at Virginia Tech. She also has an MS in Statistics and a BS in Mathematics. She is interested in the use of digital data and technology to improve population health. 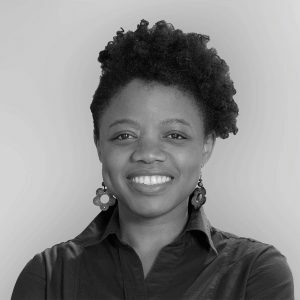 Her research is focused on the development of statistical and computational approaches for public health surveillance and disease forecasting. The global use of digital technologies has resulted in an unprecedented availability of digital data. If properly mined and filtered, this data can be combined with environmental, socioeconomic and epidemiologic data for understanding the dynamics of disease propagation, disease risk factors and the relationship between human behavior and disease spread. A major focus of Elaine’s research is to identify non-traditional data sources that can serve as early indicators of social disruption resulting from disease outbreaks, improve the timeliness of infectious disease surveillance, and be combined with covariates such as precipitation, temperature and socioeconomic factors in models to estimate disease risks and forecast future trends. In this talk, Elaine will discuss the nascent field of digital epidemiology and present examples on the use of digital data (e.g., high-resolution satellite imagery, social media and Internet news) and machine learning for monitoring infectious diseases and risk factors for obesity.